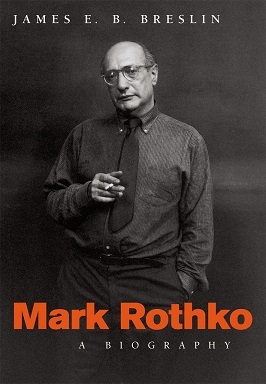 James E. B. Breslin’s book on the life of painter Mark Rothko helped redefine the field of the artist’s biography and, in its day, was praised by outlets such as the New York Times Book Review (on the front cover, no less), where critic Hilton Kramer ascribed it as, “the best life of an American painter that has yet been written.” On what would have been the artist’s 111th birthday, Biographile revisted Breslin’s work: In Breslin’s book, we follow Rothko’s search for the approach that would become such a significant contribution to art and painting in the twentieth century. He was in his forties before he started making his “multiforms,” and even after he started painting them in his studio, he didn’t show them right away. Breslin dissects and details the techniques Rothko developed upon creating his greatest works. He rotated the canvas as he worked, so that the painting wouldn’t be weighted in any one direction. He spent much more time in the studio figuring out a painting than actually painting it, and he filled a canvas as many as twenty times before feeling it was done. Maybe most important, he worked tirelessly to eliminate any recognizable shapes from the multiforms. . . .
Congrats (!) to House of Debt authors Atif Mian and Amir Sufi for making the shortlist for the Financial Times and McKinsey Business Book of the Year. 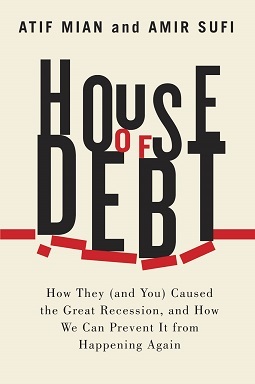 Now in competition with five other titles from an initial offering of 300 nominations, House of Debt—and its story of the predatory lending practices behind the Great American Recession, the burden of consumer debt on fragile markets, and the need for government-bailed banks to share risk-taking rather than skirt blame—will find out its fate at the November 11th award ceremony. From the official announcement: “The provocative questions raised by this year’s titles have been addressed with originality, depth of research and lively writing.” The award, now in its 10th edition, aims to find the book that provides “the most compelling and enjoyable insight into modern business issues, including management, finance and economics.” The judges—who include former winners Mohamed El-Erian and Steve Coll—also gave preference this year to books “whose influence is most likely to stand the test of time.” To read more about House of Debt, including a list of reviews and a link to the authors’ blog, click here. . . .
Congratulations to cartoonist and graphic memoirist Alison Bechdel, one the 2014 MacArthur Foundation Fellows, or “genius grant” honorees, whose work in comics and narrative has helped to transform and elevate our understanding of women—”Dykes to Watch Out For” in all their expressions, mothers and daughters, and the implications of social and political changes on those who dwell everyday in a broad variety of female-identified bodies. 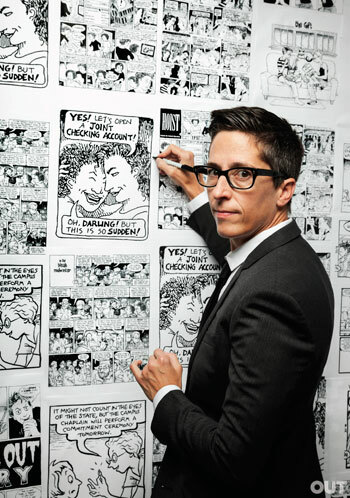 Additionally, Bechdel is well-known in film studies circles for her duplicitously simple three-question test for gender parity, which has drawn broad attention since first delivered via her 1985 strip “The Rule.” From the Washington Post: 1) Does it have two female characters? 2) Who talk to each other? 3) About something other than a man? If the answer to all three questions is yes, the film passes the Bechdel test. Bechdel is also the subject of two feature-length interviews in Hillary L. Chute’s Outside the Box: Interviews with Contemporary Cartoonists, and a contributor to Critical Inquiry’s special issue Comics & Media, both of which were released this year. Below, see video footage of a Bechdel/Chute interview from 2011, when Chute visited Bechdel at her home in Jericho, Vermont: To read more about Outside the Box or the Comics & Media issue . . . 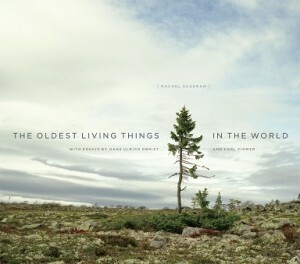 In 2011, Richard Arum and Josipa Roksa’s Academically Adrift inscribed itself in post-secondary education wonking with all the subtlety of a wax crayon; the book made a splash in major newspapers, on television, via Twitter, on the pages of popular magazines, and of course, inside policy debates. The authors’ argument—drawn from complex data analysis, personal surveys, and a widespread standardized testing of more than 2300 undergraduates from 24 institutions—was simple: 45 percent of these students demonstrated no significant improvement in a range of skills (critical thinking, complex reasoning, and writing) during their first two years of study. Were the undergraduates learning once they hit college? 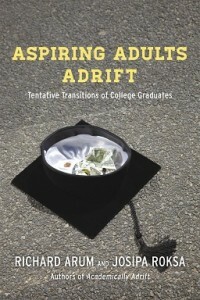 The book’s answer was, at best, a shaky “maybe.” Now, the authors are back with a sequel of sorts: Aspiring Adults Adrift, which follows these students through the rest of their undergraduate careers and out into the world. The findings this time around? Recent graduates struggle to obtain decent jobs, develop stable romantic relationships, and assume civic and financial responsibilities. Their transitions, like their educational experiences, are mired in much deeper and more systemic obstacles than a simple “failure to launch.” The book debuted last week with four-part coverage at Inside Higher Ed. Since then, pundits and reviewers have started to weigh in; below are just a few of . . .
Army Spc. Ryan Yurchison, 27, overdosed on drugs after struggling with PTSD, on May 22, 2010, in Youngstown, Ohio. He was from New Middletown, Ohio. His bedroom was photographed in September 2011. (caption via Slate) From Philip Gourevitch’s Introduction to Bedrooms of the Fallen by Ashley Gilbertson: These wars really are ours—they implicate us—and when our military men and women die in far off lands, they do so in our name. wanted to depict what it means that they are gone. Photographs of the fallen, or of their coffins or their graves, don’t tell us that. But the places they came from and were supposed to go back to—the places they left empty—do tell us. See more images from the book via an image gallery at Hyperallergic. . . .
For more than twenty years now, Blair Kamin of the Chicago Tribune has explored how architecture captures our imagination and engages our deepest emotions. A winner of the Pulitzer Prize for criticism, Kamin treats his subjects not only as works of art but also as symbols of the cultural and political forces that inspire them. 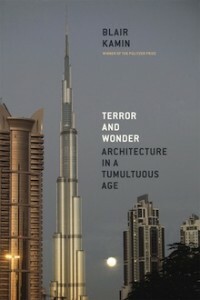 Terror and Wonder gathers the best of Kamin’s writings from the past decade along with new reflections on an era framed by the destruction of the World Trade Center and the opening of the world’s tallest skyscraper. Assessing ordinary commercial structures as well as head-turning designs by some of the world’s leading architects, Kamin paints a sweeping but finely textured portrait of a tumultuous age torn between the conflicting mandates of architectural spectacle and sustainability. For Kamin, the story of our built environment over the past ten years is, in tangible ways, the story of the decade itself. Terror and Wonder considers how architecture has been central to the main events and crosscurrents in American life since 2001: the devastating and debilitating consequences of 9/11 and Hurricane Katrina; the real estate boom and bust; the use of over-the-top cultural designs as engines of civic renewal; new challenges in saving old buildings; the . . .